Okay, I'm starting this thread to let the Doom Community know that the "Community Chest" project will have it's final submission on May 31st, 2003. I will then package it together and then release it to the community. Remember, this is a chance for these mappers to show their stuff. You will see some levels more detailed than others, some not as detailed but all the mappers here have put alot of hard work into their maps. I congratulate all of them! Without them this project would have never gotten off the ground, thanks guys! I have 27 maps submitted to me at this time, just 5 more to go and I think it can be done! This project is not dead in the water like many others that I have seen crumble into dust. Stay with us and you will see the release in early June! sweet :) nice to hear things are finally wrapping up. Cool - I should probably send you an updated version of level 5 - it contains such things as texture alignments. Yes...please send me any updated maps! Seeing as how the project's web site hasn't been updated in a while, would you please list the completed maps? Thanks. This is great news..The CC project is going to be big IMO. Noooooooo!!! Darn it, I'm at college, and I won't have Internet access when I go home for the summer. Oh dear God why? I won't get to play it until I come back for the fall. This is the absolutely worst news I've ever heard. Ugh, I have no life. Cadman, I discovered some bugs in map10, and 26. Fix the bugs then send me the updates. Thanks! but here's the odd thing, Zdoom, Eternity, and Prboom can display these maps correctly, but Jdoom, and Legacy can't run these maps very well, and some doors won't even open when I run map26 in Jdoom or legacy...wtf. Hmm, I only tested map12 in prboom and zdoom, no idea what those other engines will do to it. Simple, the maps are designed for Boom/PRBoom. If they run with anything else then it's a bonus. Unfortunately JDoom and Legacy aren't 100% Boom compatable. Map29 won't run with either of these also. 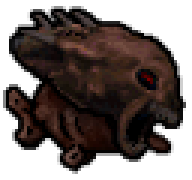 In my text file I indicate that my Map18 (Sudden Death) works fine on ZDooM and Legacy, and most parts work fine in vanilla DooM2 (occasional VPO errors). In Legacy GL there are "holes", window-over-window effects do not show, and the final bridge is unusable. In jDooM window-over-window effects do not show and the final bridge has HOM after it's been used once (i.e., gameplay is not affected). This project is utilizing nothing but the original Doom2 triggers and specials! Nothing more! The reason I said to develop the maps under Boom/PrBoom was that you can create larger and more detailed maps in the editor. Most of the limitations or Vanilla Doom/Doom2 are removed with Boom/PrBoom. If it runs under any of the other source ports then so much the better! Ideally you want to play these maps under Boom/PrBoom!